Didn't expect this! 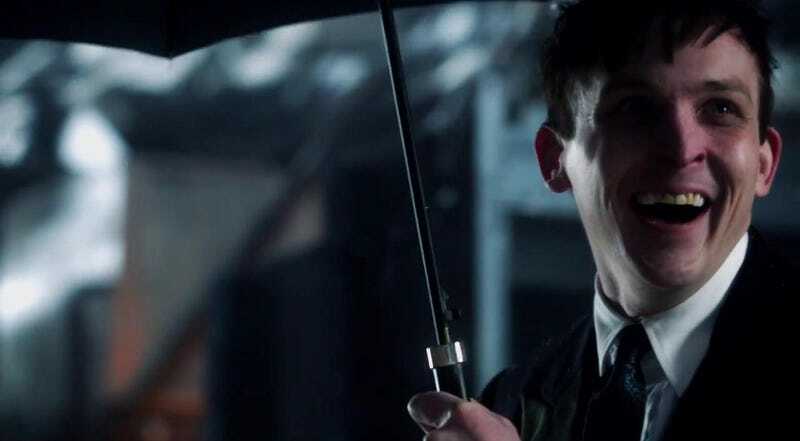 The Television Critics Association has hailed Gotham as the most promising series of the fall season" in a new poll, according to The Hollywood Reporter. Seeing as the TCA probably isn't as biased in favor of Batman-related entertainment as most of us are, that's very encouraging news. Basically, if a bunch of actual critics think that Gotham looks like it has more potential than more traditional, less esoteric procedurals like How to Get Away with Murder, then they're probably doing so based on the show's actual merits and not out of a blind love for Batman-related entertainment. And since Gotham is completely lacking in Batman anyways, that's a very good sign for the series indeed. The show needs to have more to it than just an endless parade of young versions of the friends and foes of Batman, because those will run out quickly. The show needs good characters and good stories to keep its audience, whether they're comic book nerds or mass audiences. And now it sounds like it probably does.